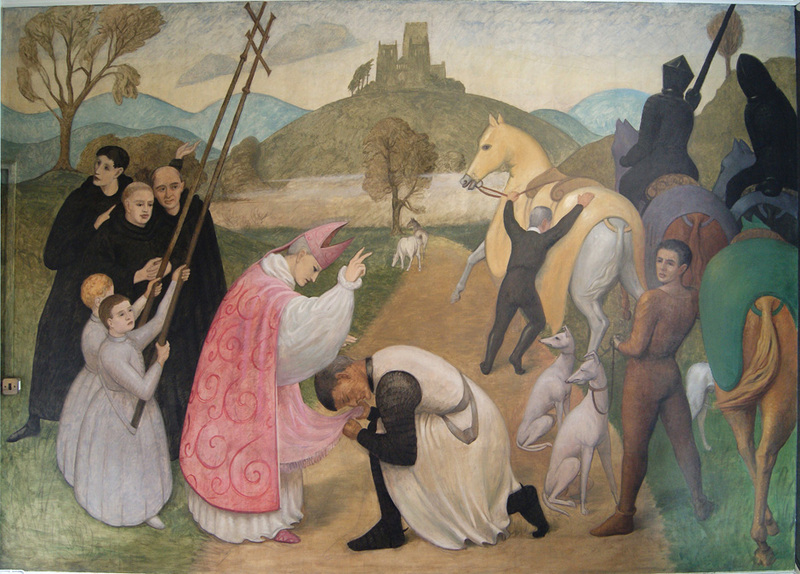 This group of murals tells the story of the foundation of Balliol College by John (I) Balliol. 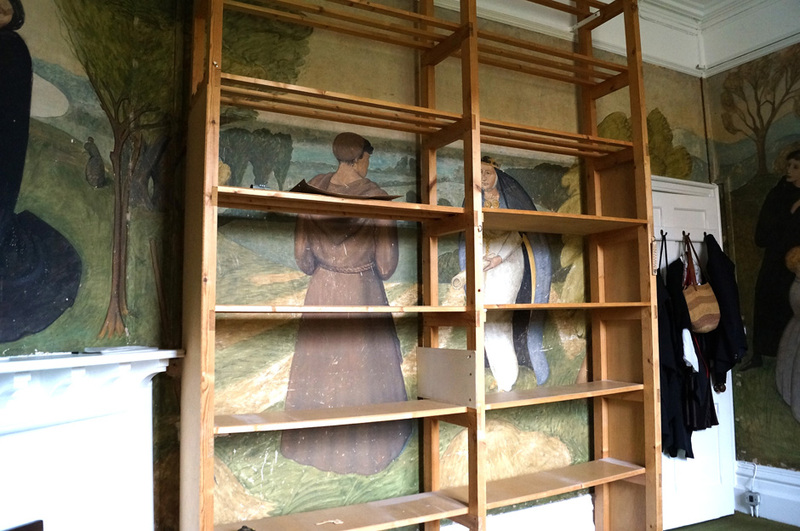 It was painted by a former student of the College C. E. Fremantle in the 1920s. 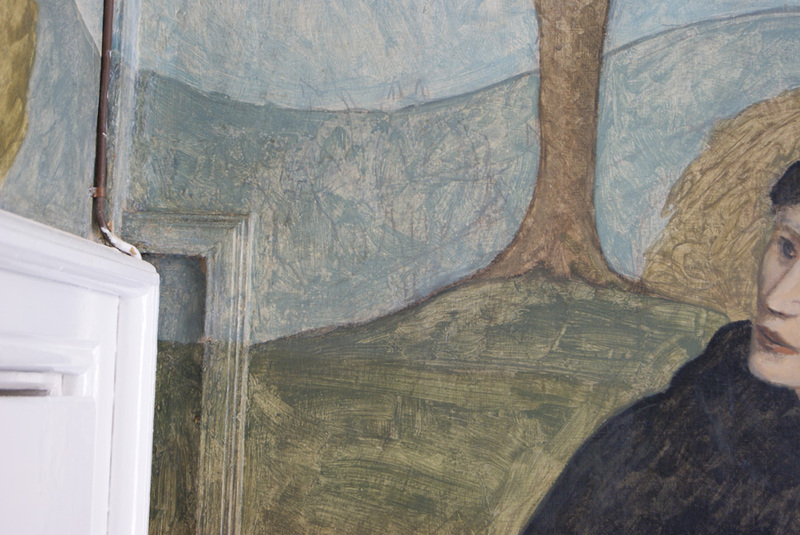 According to legend, Balliol College was founded in 1264 by John of Balliol as a penance after a dispute with the Bishop of Durham. 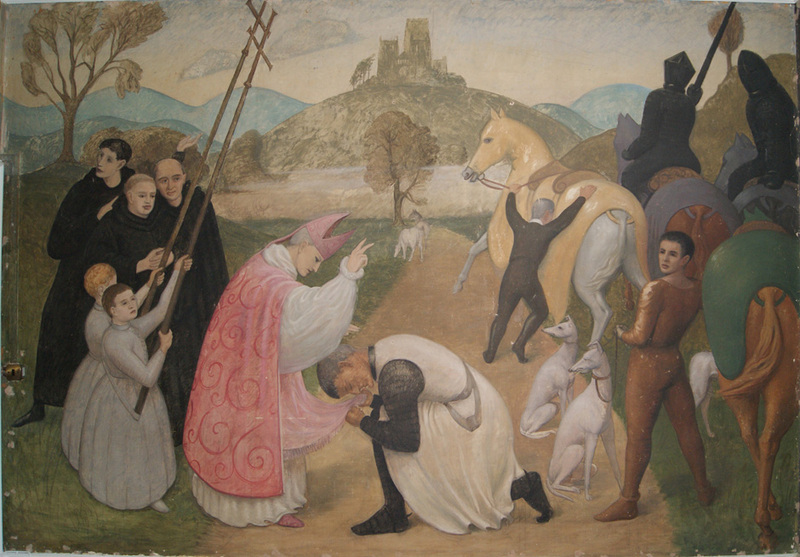 His wife Dervorguilla of Galloway, a devotee of St. Catherine of Alexandria, consolidated the penance after Balliol’s death. 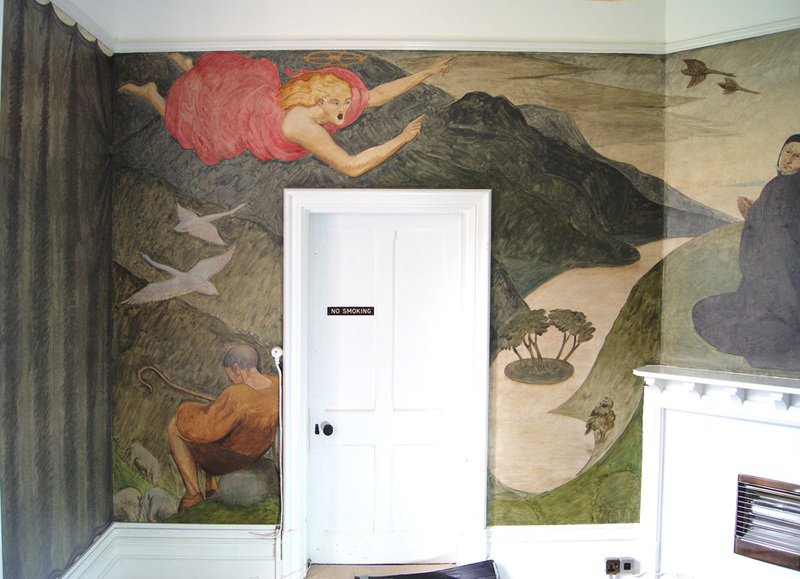 The murals cover the four walls of a small antechamber to the Dean’s office at Balliol College. 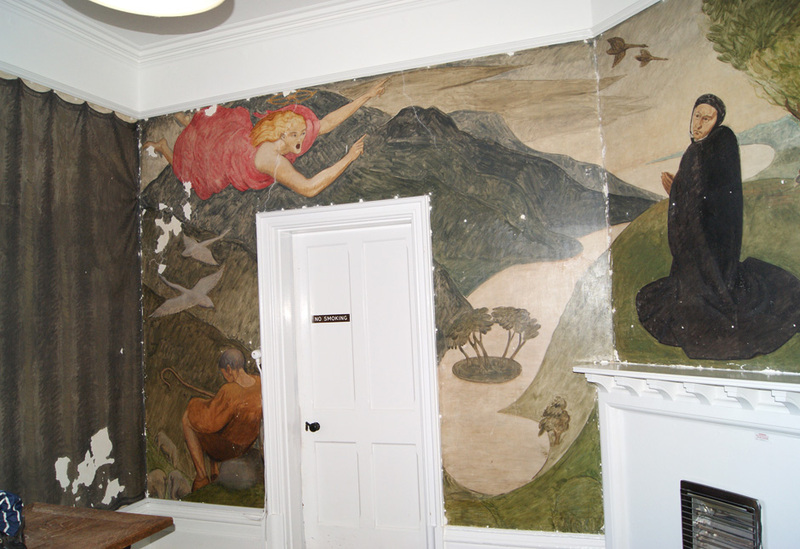 The paintings were covered with wall paper for many years but gradually students and staff peeled off the paper to reveal a damaged, albeit still recoverable mural. 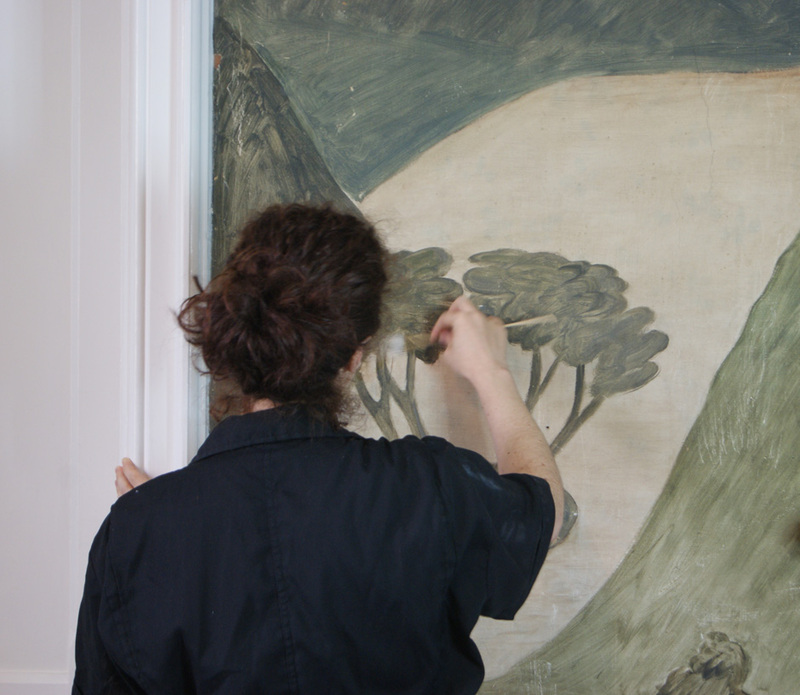 Conservation treatment of the mural was carried out in three campaigns, during the summer breaks from 2015-2017. 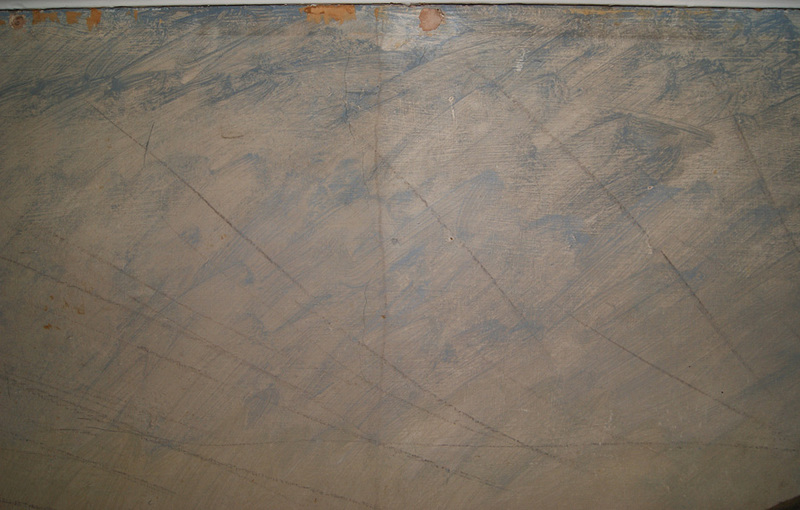 Initially, urgent remedial treatment of the northwest corner was undertaken. 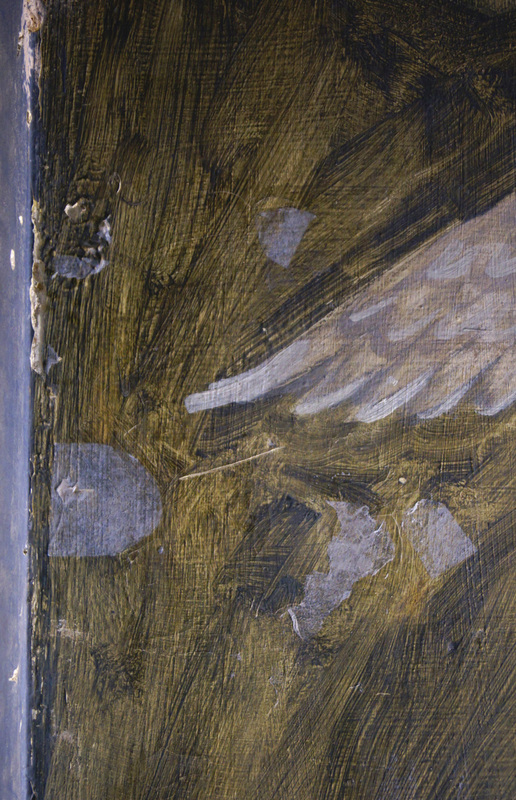 This halted the most acute deterioration and prevented loss of painting material. 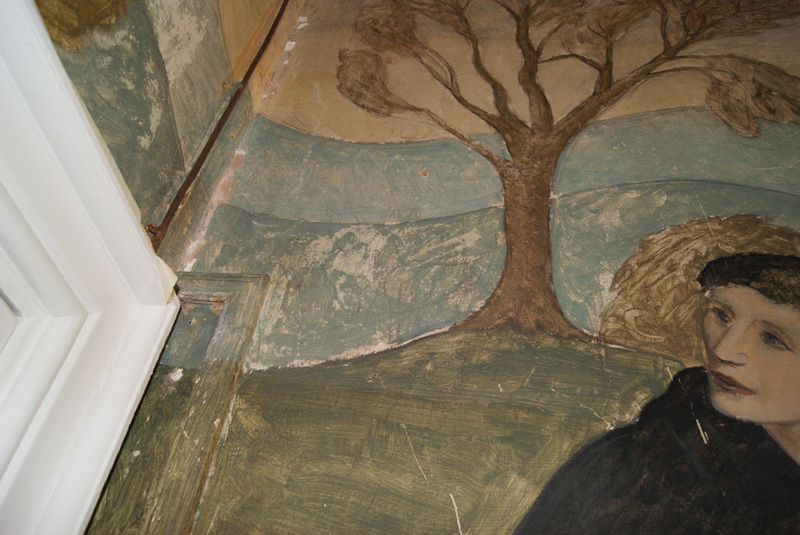 Secondly, further stabilisation of the paint and plaster was carried out and the murals were cleaned. 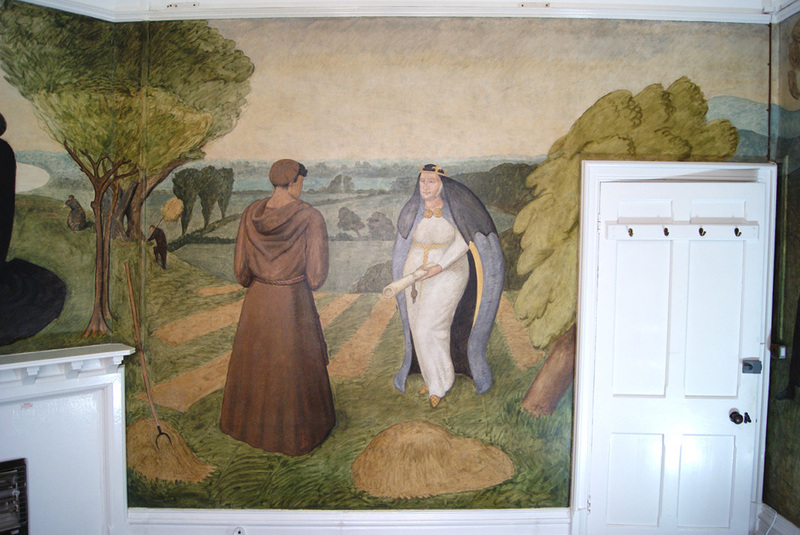 A protective varnish was applied to the murals and losses to paint and plaster were filled. 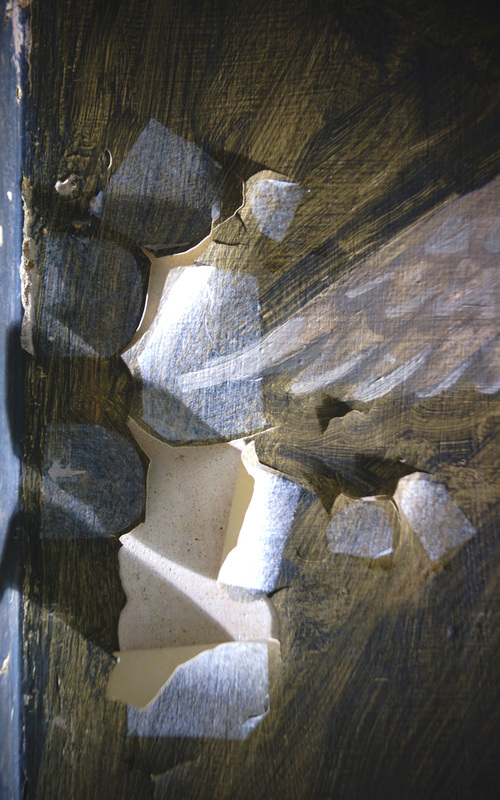 Thirdly, areas of loss and abrasion were visually integrated. 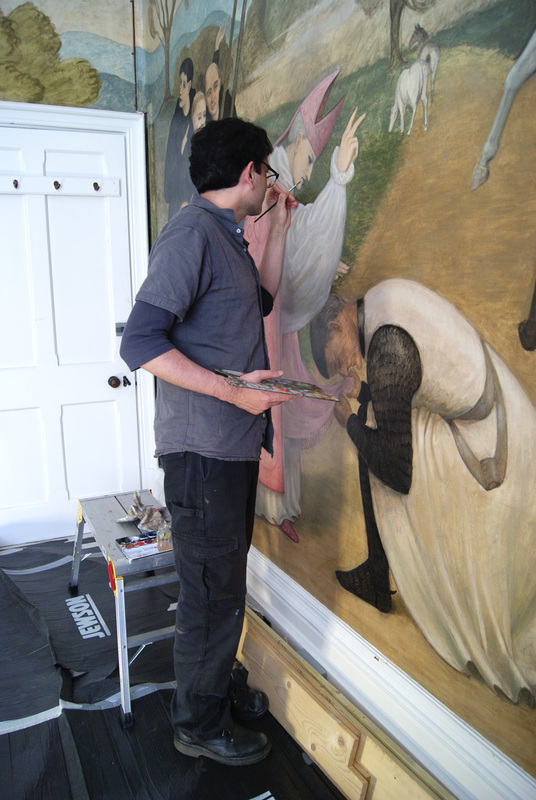 The conservation treatment has been kindly funded by the artist’s son Hugh Fremantle.